This past Sunday, Windham New Hampshire had a full page profile in the Real Estate Section of the Boston Globe and online. It was the first time that the Globe has chosen a New Hampshire community. The writer was Windham's own Chris Morris. Brad Dinsmore, the owner-broker of Prudential Dinsmore Associates was interviewed for the article. 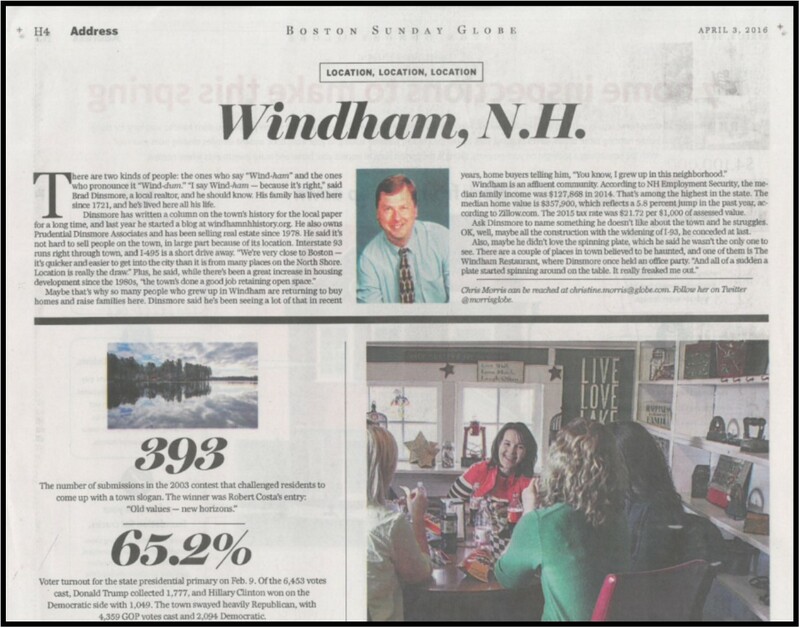 Follow this link to the online Windham Profile in the Boston Globe. Check out this new home listing, in Windham NH, which is set on the end of a cul-de-sac, in a wonderful neighborhood. Greet friends and family in the impressive two story foyer. First floor office is located through french doors, right off the foyer. Spacious living room with bay-front window. Custom kitchen with hardwoods, granite, and gracious china cabinets, plus a wonderful dining area with bay window. The family room features vaulted ceilings and a fireplace. Offered at just $519,900. Call or e-mail for full details. 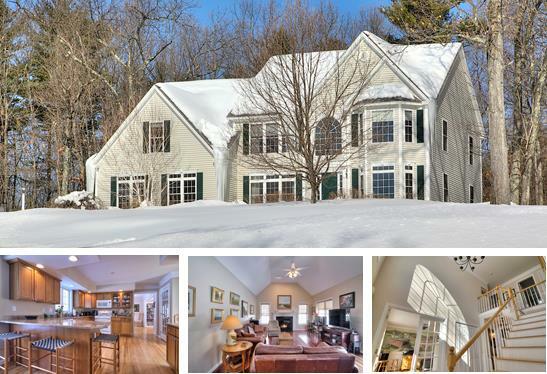 What Did Homes Sell for in Windham NH 25 Years Ago? 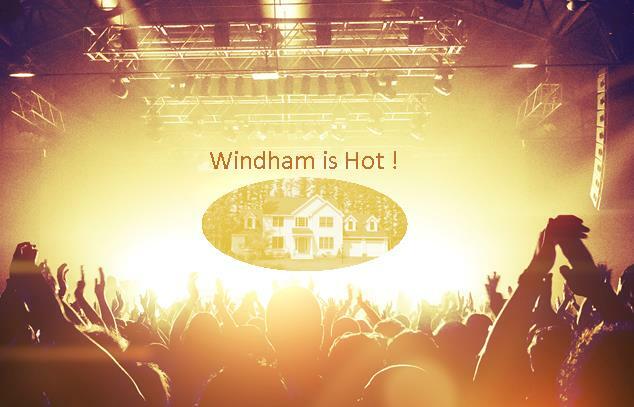 1990 was an interesting year for real estate in Windham NH. In fact, it was a terrible time for real estate. The stock market crash in 1987 had done a number on the New Hampshire economy. Five largest NH banks all went bankrupt. There were scandals involving developers, bankers and realtors, involving wrap-around loans. Essentially, wraparound loans involved an undisclosed second mortgage that allowed home-buyers to finance 100% of the purchase, a novelty at the time. Brokers and Bankers actually went to jail. Learning nothing, 100%, no-doc loans would become standard practice in the next real estate boom, but nobody ended up going to jail then. So 25 years ago, home values were slumping. They began declining in 1988 and continued declining into the early 1990's. Below you will find a varitey of homes that sold. It is interesting to note that the lowest price sale was $89,000 and the highest price sale was $347,000. There were eight sales between $301,000 and $347,000 which was the top range. 15 homes sold between $200,000 and $300,000. 70 single family houses sold that year. One other interesting thing about 1990. There were no real estate listings to be found online by consumers. If you wanted to buy a house, you found a real estate office, walked in, the sales person would tell you face to face what was available on the market, and then take you to see them. 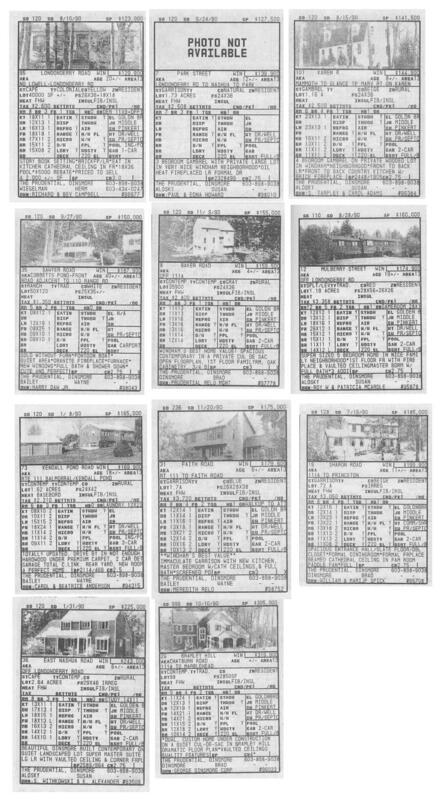 The MLS listings were all to be found in a printed book or on a computer with only the sales person having access to the information. So here you have some of the sales Prudential Dinsmore Associates, participated in during 1990, in all their smudged ink glory.